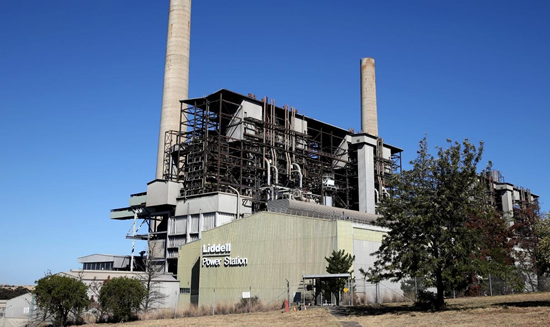 AGL’s Liddell power station has been granted an exemption from NSW air pollution regulations and emits toxic oxides of nitrogen (NOx) at up to 14 times the concentration allowable in the United States, documents obtained under Freedom of Information reveal. The extraordinary exemption permits the 46-year-old coal-fired power station in the Hunter Valley to emit toxic NOx at almost twice the official concentration limit allowed for NSW power stations of Liddell’s age. “This is one more compelling reason why Prime Minister Malcolm Turnbull should stop trying to find ways to keep this ageing and inefficient power station open,” said Dr James Whelan, researcher with Environmental Justice Australia. 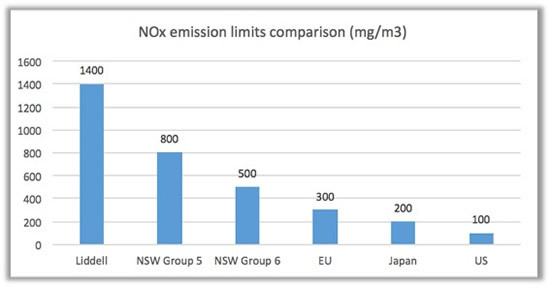 The report obtained under FoI shows AGL Macquarie applied for and was granted an exemption from the NSW Clean Air regulation, allowing Liddell to emit NOx at a concentration of 1400 micrograms per cubic metre (mg/m3). Power stations of Liddell’s age would normally be subject to the Group 5 NOx limit of 800 mg/m3. “This is shocking revelation confirms the NSW Government’s laissez faire approach to air pollution control,” Dr Whelan said. The report, prepared by Aurecon for AGL Macquarie, describes a range of air pollution control measures that would reduce NOx emissions by up to 85%. The report was required by the NSW Environment Protection Agency as a condition of AGL’s Environment Protection Licence. The Aurecon report identifies Selective Catalytic Reduction (SCR) as the most effective NOx emission control technology and the dominant method in use internationally. Power plants equipped with SCR, overfire air and low NOx burners reduce NOx emissions to just 50-100mg/m3. Japan plans to require new power stations to fit these three control measures. Exposure to oxides of nitrogen (NOx) irritates eyes, nose, throat and lungs, and leads to coughing, shortness of breath, tiredness and nausea. Even low levels of exposure are linked to asthma, reduced lung function and allergies. Coal-fired power stations produce 49% of Australia’s NOx emissions. AGL Macquarie was required by the NSW EPA to submit by July 2017 a report on ‘International best practice for control of NOx emissions from coal fired combustion’. The EPA request for this Pollution Reduction Program (PRP) is a standard procedure for holders of Environmental Protection Licences. EJA has an interest in the PRP because our Toxic and Terminal report identified readily available pollution control technologies (selective catalytic reduction or ‘wet scrubbers’) that would reduce NOx emissions by as much as 90%. (See for e.g. this USEPA report for details.) This equipment has been obligatory for coal-fired power stations in the US for almost 20 years but is not yet required in NSW. The EPA’s licensing philosophy is officially that it requires plants to operate pollution controls that were ‘reasonably available technology’ when the plants were new (23–38 years ago). Although Liddell is scheduled to close in 2022, AGL is experiencing political pressure (most recently from Premier Berejiklian and PM Turnbull) to keep it open beyond that date. NOx concentrations in the Hunter Valley exceed the national standard each year, with major adverse health impacts that have not been assessed by the NSW Government and are clearly not being controlled. Any measures used by Liddell could (and should) be implemented at Bayswater, Eraring, Vales Point and Mt Piper. The (draft) air pollution strategy for NSW indicated that NOx and SO2 emission controls would be investigated. That strategy has bogged down within the EPA, with no sign of life since May 2017. The NOx control report was prepared for AGL by Aurecon (submitted to the EPA in June 2017). EJA requested this report from the NSW EPA late 2017. When that request was unsuccessful, EJA lodged a GIPA (FoI) request in December. In January 2018, the EPA granted partial access to our request, with significant exemptions that included financial figures relating to the purchase of NOx control equipment, operating and capital costs. This redacted information is crucial to any independent assessment of AGL’s efforts to control NOx emissions. 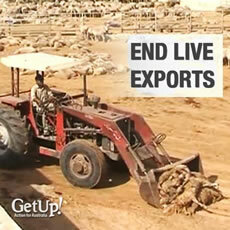 A third party – presumably AGL – opposed our request. The third party argued that the report contains ‘commercially sensitive information’, including NOx emissions during combustion, control measures and systems and options for NOx control. The EPA ruled that release of the report was in the public interest.